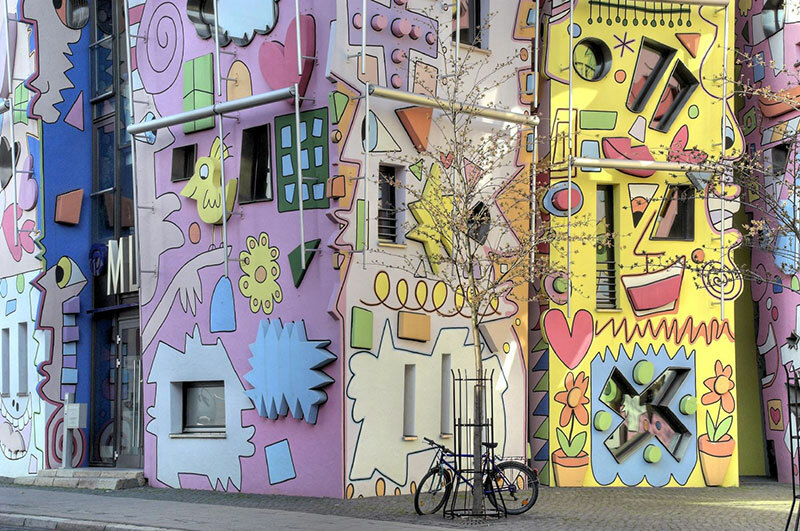 A psychedelic building in Braunschweig, Germany by the late New York pop artist James Rizzi in collaboration with architect Konrad Kloster. 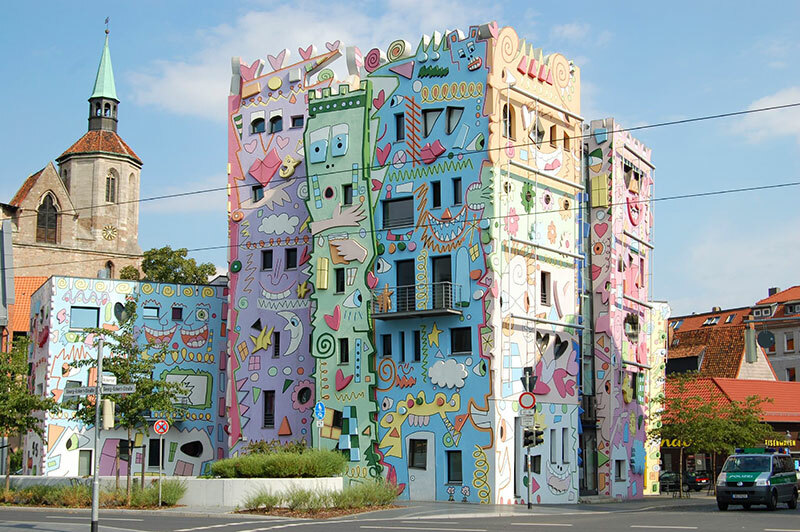 The cluster of buildings is described as "the happiest house on earth" and is decorated with Rizzi's cartoons painted in bright colors. 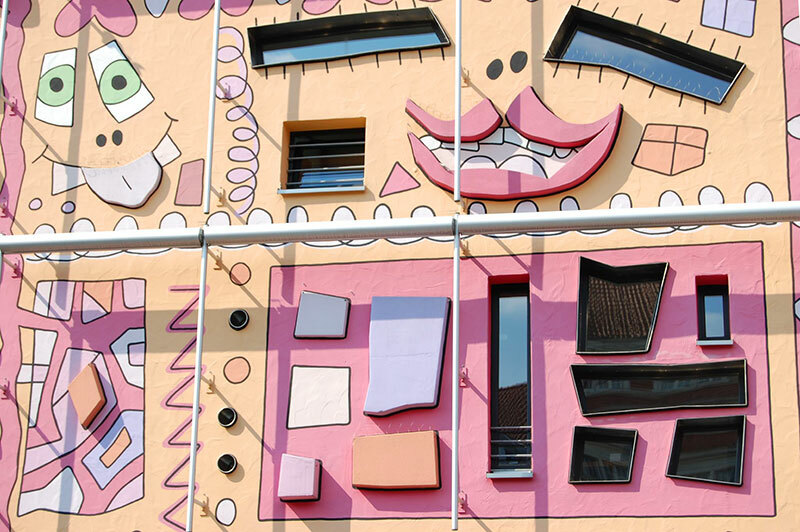 It was not an instant hit when it opened in 2001 as it stood in stark contrast to its surroundings with old European architecture on one side and the business district on the other side, acting as an unofficial border between the two. 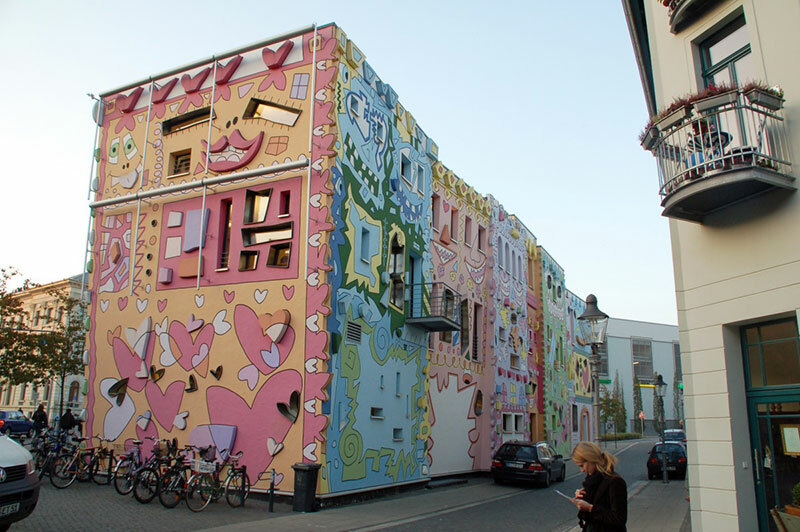 Eventually, the locals accepted the unique structure and it became an important part of the city. 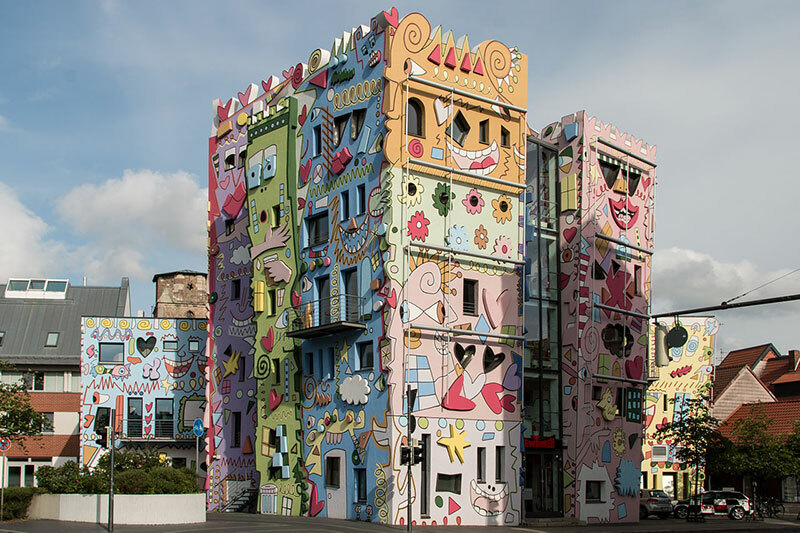 A psychedelic building in Brunswick, Germany by the late New York pop artist James Rizzi in collaboration with architect Konrad Kloster.